The last Connecting Women event of 2017 took place at BLOOM – House of Health in The Hague on Friday, December 8. 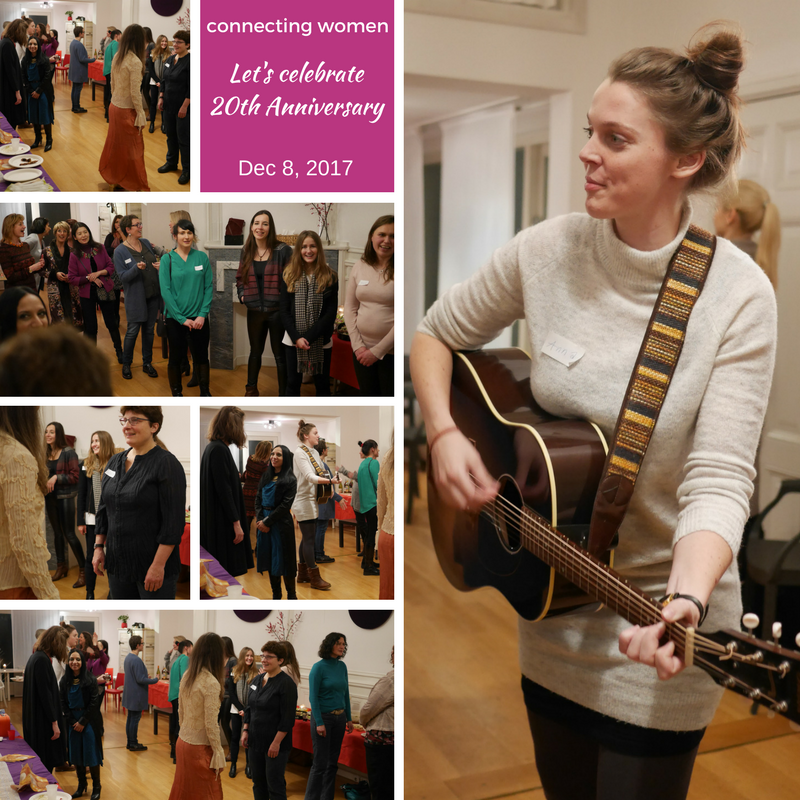 It was also the evening to celebrate Connecting Women’s 20th anniversary. Being found in 1997 by a group of expatriate women who saw a need for an English-speaking forum where women of different nationalities could share experiences, network and connect. Over the years, Connecting Women underwent several changes but the organization is still there offering a place to connect, get inspired and empowered. Besides enjoying delicious food, we got the opportunity to listen to Georgia Williams performing two pieces on her flute. And Anna Fernhout, “stembevrijder”, created a special moment by making us sing together. The evening provided also the great opportunity to re-connect with former members and board members. We were very happy to have Deborah, Kai, Dymphna, Kim and Sandra around who also shared their experiences with Connecting Women with the other participants.